Heading out of town and need someone to babysit the furkids? 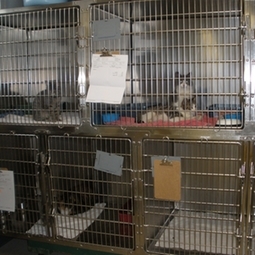 We have kitty condos where each of our feline friends is given a comfy bed, litterbox, food and water. You can bring something from home to make them feel more comfortable if needed. A favorite toy or blanket can sometimes make them more comfy and secure. Cost is only $13 a night. All cats are required to have a current FVRCP and RV to keep everyone healthy and happy.